Price from 120.000 ISK PER PERSON. If you are ready to go the extra mile, our 6 hour snowmobiling is the tour for you. Your expert snowmobiling guide will take you for an adventure off the beaten track. Depending on the weather and ground conditions each day, our skilled guide will decide where it is best to go each day. By doing this, we can offer you the best day of adventure. 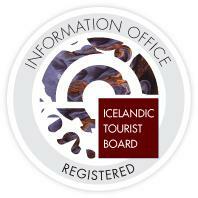 So, come and join us for an adventure where you can enjoy all the beauty which Iceland has to offer. Warm outdoor clothing, waterproof jacket and pants, head-wear, gloves and snacks. Good hiking shoes are recommended!